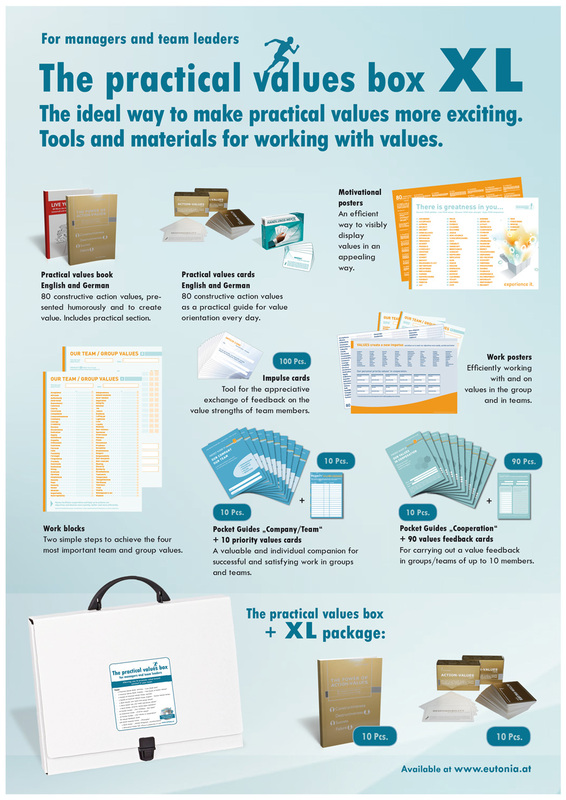 The ready-to-use collection of tools to make practical values more exciting for teams up to 10 people. Tools and materials for working with values. 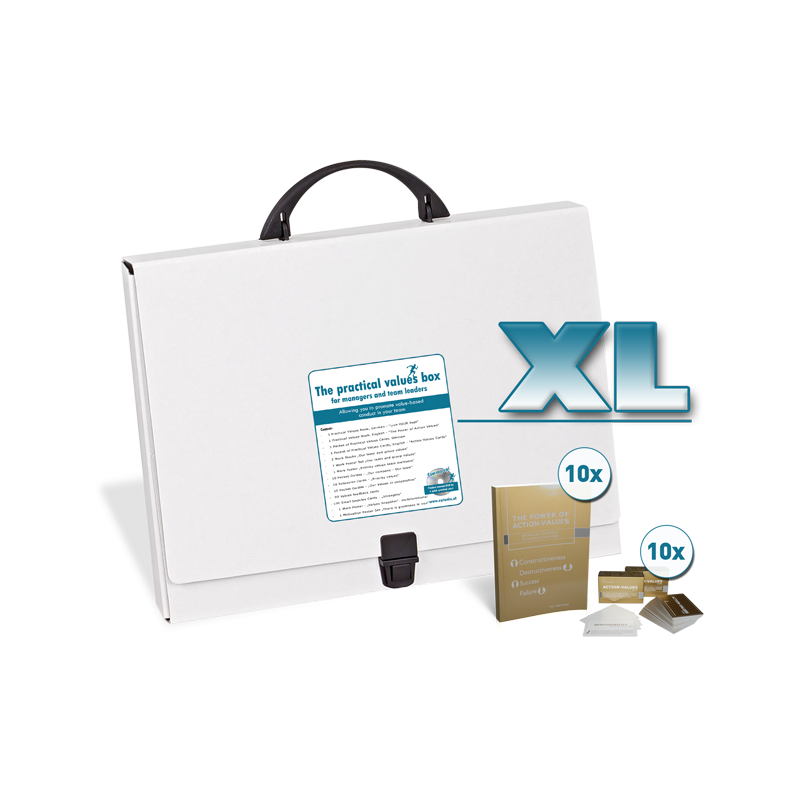 - Purchasing the pracitcal values box XL saves you 30% compared to buying the products separately. - The case contains the optimal composition of value stimulation tools for executives, trainers and pedagogues for use in teams of up to 10 people. You save lots of time searching for the right composition. - At the same time, you get a modern, attractive, rugged and environmentally friendly case. - 10 Pocket Guides "Our company - Our team"
- 10 extension cards "Priority values"
- 10 Pocket Guides "Our values in cooperation"
- 100 small impulse cards "Strengths"
- 1 motivation poster set "There is great in you"
- 1 work poster set "Our team and group values"
- 2 work blocks "Our team and group values"
- 1 Work poster "Priority values team members"